to eat and on the way was a small, well tended Confederate graveyard all by its lonesome. Think Confederate Monuments Are Racist? "....The design of the “pioneer monument” was celebrated in newspapers across the country when it was erected in 1894. 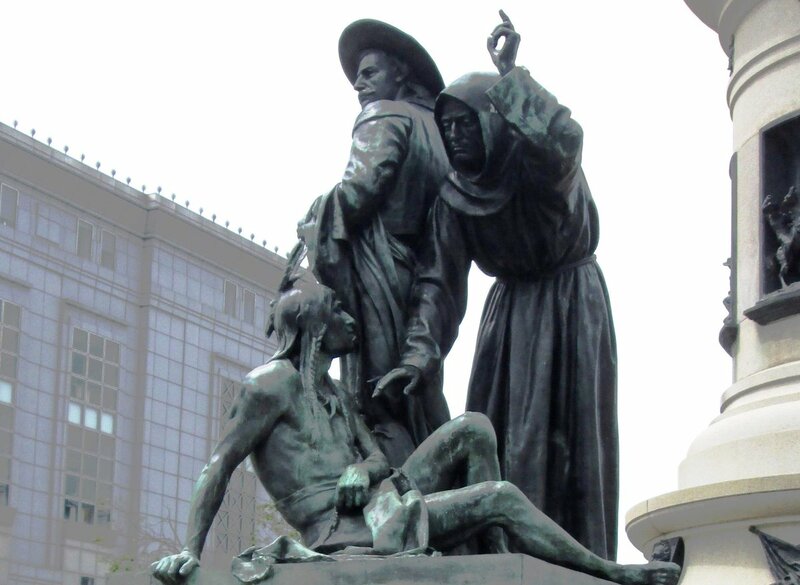 Today, however, activists argue that the monument – particularly its depiction of a Spanish missionary and Mexican “vaquero,” or cowboy, towering over an American Indian – is demeaning to American Indians. Should the city take down part of this 125-year-old monument? All of these statues that are controversial today are part of the racist and bigoted historical Foundation of the United States of America. We are where we are today as a nation because of where we were and what we were in the past. to better understand who we are and what we are and how far we still need to go. 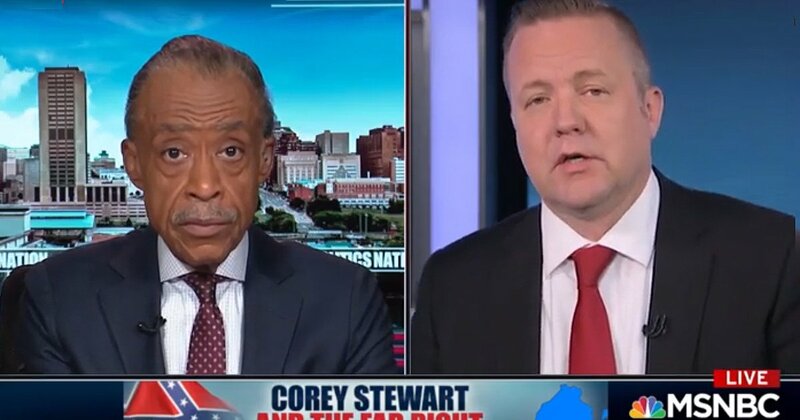 Republican Senate candidate fron Virginia, Corey Stewart, is making a name for himself as a national leader in supporting the preservation of Confederate symbols being honored in public spaces. Silent Sam sure lived up to his name, never heard of him before. Pays to keep one's mouth shut.....guess not.